To any business, customer service is a crucial element; especially since how you treat your customers will decide how they perceive your brand. Lack of proper customer service will result in unsatisfied customers who will leave you for your competitors. The best way to boost your sales performance and grow your business is to improve your customer service processes and your customer support team. In this post, we’ll discuss how you can use flowcharts to improve your company’s customer service capabilities. A flowchart is a visual tool that is used to graphically outline the flow of steps in a process. 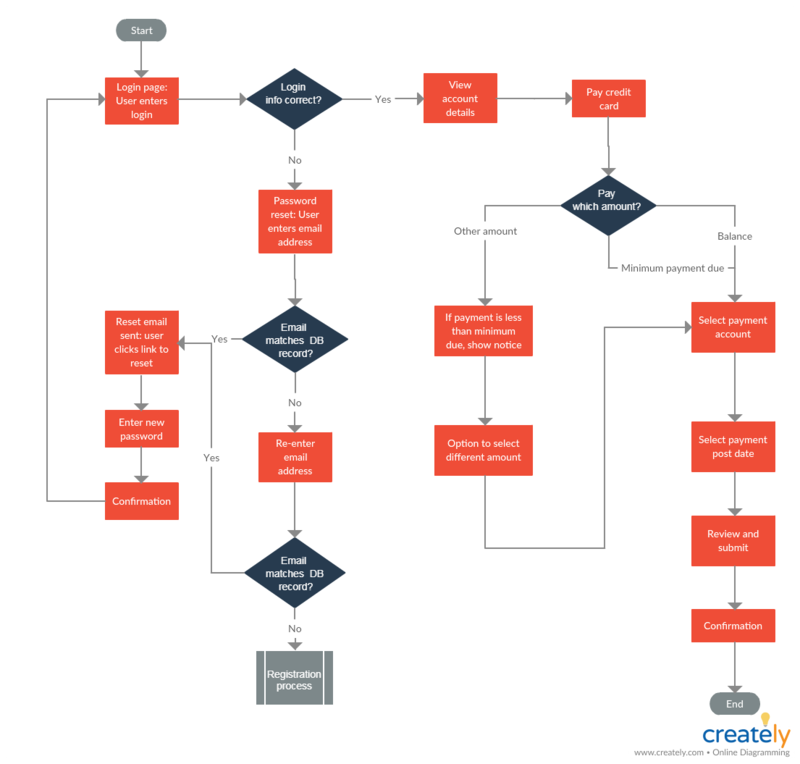 While a single flowchart can convey pages of text, it’s easier to understand and follow. This is why it’s an ideal tool to use when improving your customer services processes and helping the customer support team perform better. When assessing a process for its efficiency, you need to take into consideration the individual process steps and the roles responsible for carrying them out. While a flowchart illustrates the sequence of a process, by adding swimlanes to it, you can highlight the employees or the departments responsible for each step. With the support of the flowchart and a competent team, you can quickly identify the bottlenecks and the inefficient steps in your support processes. Tip: When documenting processes, use flowcharts to describe processes. This helps with standardizing the processes in an organization. They can also be used as training material. The main responsibility of a customer support agent is solving the issues customers are facing. 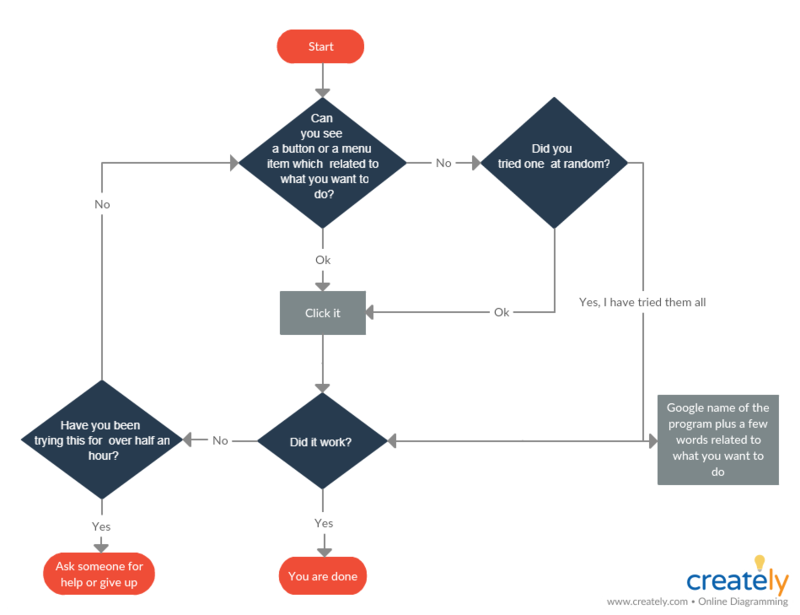 You can use a flowchart to communicate the steps the user needs to take to arrive at a solution. 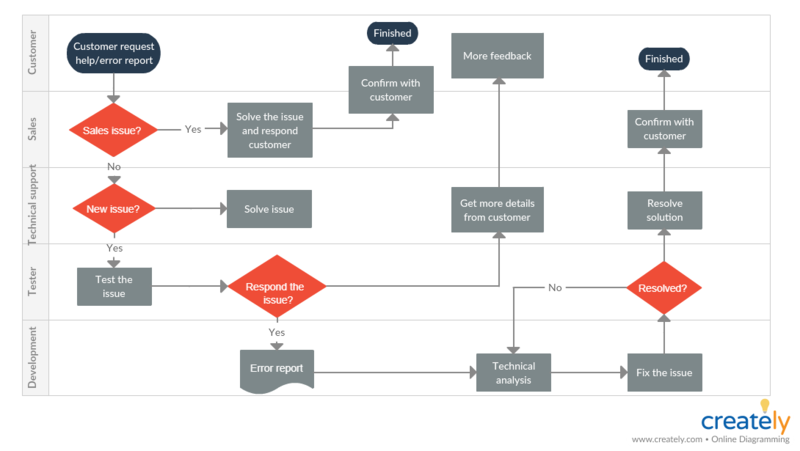 In case, you are also having trouble understanding the issue faced by your customer, you can use a flowchart to analyze the issue and arrive at a solution. At times it helps to have a script to direct a conversation between a customer service agent and a customer. A flowchart can prove handy in this case as it helps to visualize the flow of the conversation you might have with a customer. You can change the content in the flowchart to adjust it to any scenario. It can be used to train new customer support agents as well. As a customer support agent, it is essential to know the experiences the customers go through as they interact with your company. Knowing how they interact with your product will help you understand their behavior and context. In turn, it will allow you to communicate with them easily. Familiarizing new support agents with different support processes is an important part of their training session. Flowcharts that outline the flow of the process steps will help them grasp how the processes work quickly. The flowcharts will also help them understand how they fit into the overall processes in the department. As discussed above, flowcharts help replace pages of text. As they only consist of a few basic symbols and little text, they are easier to comprehend at a glance. As a result, they are ideal to be included in user guides and manuals provided by a company. What Other Ways Do You Use Flowcharts to Improve Customer Service? 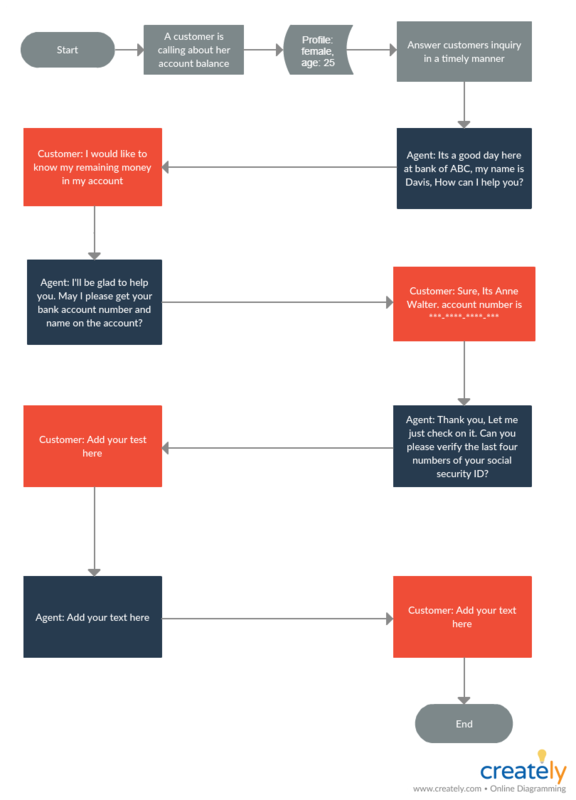 In this article, we have covered how to improve customer services using a simple tool like a flowchart. It will help standardize and improve your customer support processes, reduce the time it would take to solve customer issues and help train employees. How do you incorporate flowcharts or other visual techniques like mind maps, infographics etc. to improve your customer service processes? Do let us know in the comment section below. And if you are struggling with improving your sales processes, don’t forget to check out our guide to optimizing sales processes.